With two locations in Detroit and Los Angeles, more than 25 years Nationally Acclaimed Photographer Sam Sarkis has lived out his dream capturing the special memories of people from all walks of life. From a simple portrait to the grandest of weddings, Sam takes a vision and brings it to reality with a unique and artistic style. “It’s my heart that guides me whenever I pick up my camera and start that journey of capturing the essence of my subject and their special moment”, says Sam. It is his unique style and bold creativity that leaves his clients coming back to work with him for years. “Many of my clients have become some of my dearest friends.” His daughter Loreen Sarkis works along side him which creates two unique different styles from elegant to fashion yet still with that Sarkis touch. "Working with my dad from the young age of 14, I have truly learned from the best and am blessed to be able to call him my father and mentor." says Loreen. Our clients love to call us "The Dream Team", there's just something magical that happens when you put the two of us together. Over the years Sam has become a much sought after mentor and lecturer on the subject of the fine art of photography. He believes that it is his responsibility to give back to the industry he loves so much by sharing his talent and time raising up the next generation of fine photographers. In the last couple years, Sam and Loreen have expanded the market and launched their international brand Sarkis Studios which is based out in Los Angeles. PPA Master of Photography . His award-winning photography has been accepted for inclusion in the Professional Photographer of America International print exhibition and the prestigious traveling loan collection for many years. 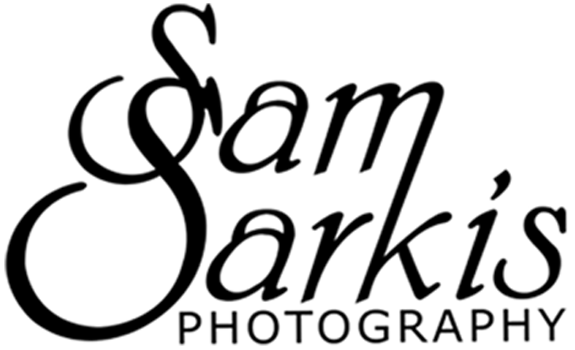 Sam Sarkis is currently listed as one of the Top 7 Photographers in Michigan by DPPA and is the current recipient of Kodak’s 2010 Award of Excellence. Sam is a long time and active member of the Professional Photographers of America (PPA) having served as a board member for several years; Detroit Professional Photographers Association (DPPA) and Wedding and Portrait Photographers International (WPPI). “Photography is more than a job for me, it is my passion! It is who I am as an individual. Some call me a friend or mentor; my family calls me a Father and a Husband. But everybody calls me a Photographer. That is who I am and what I am known for. As a young man growing up I had a dream to capture the dreams of others and bring them to reality on film and canvass, this was what I was born to do. Each day I walk into my studio, I thank God for allowing me the privilege of living out my dreams.”From in studio portraits to destination weddings, Sam Sarkis and Loreen Sarkis are available worldwide to bring peoples dreams to reality on film and canvas.